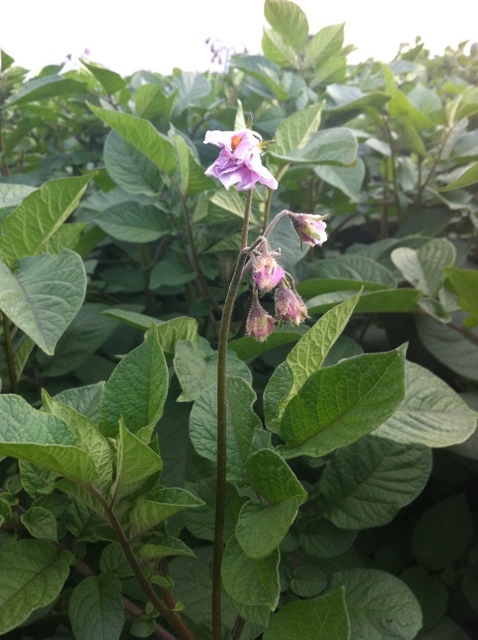 I’ve spoke about potato growing before here on the blog. 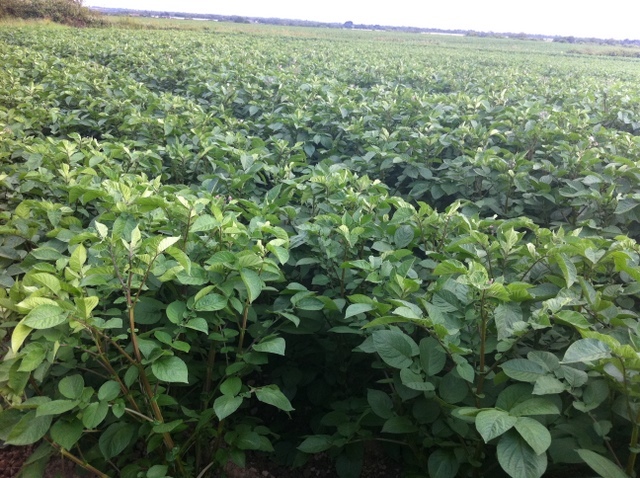 I was out walking a lot over the weekend [july 9th] and of the many fields I met, this one filled with rooster potato. With some just about to enter flower stage, I thought it may be of interest to those who growing their own were maybe looking for a good comparable, or as was pointed out to me for those who have not seen a potato, in this case a rooster in flower. A little bit of work yet to go…. and if you have read this far you deserve some trivial potato trivia, courtesy of A Guide To Vegetable Growing, the book I got free from Teagasc. Potatoes are a half hardy crop that hail from south America and first reached the [Ireland] shores around 1586. In the words of Michael Caine, not a lot of people know that.